→PartyLite MLM Review- Is this the One that you Have Been Waiting For? PartyLite MLM Review- Is this the One that you Have Been Waiting For? An Overview of Partylite- What is PartyLite All About? It’s refreshing to see that, unlike your traditional MLM models that are focused on the health and fitness sectors, Partylite concentrates on a different segment of the market. It gives distributors an opportunity to build a business around the selling of scented candles, home decor and flameless electric warmers, to name a few. If you are wondering whether this sort of business is the right choice, then you are at the right place. The purpose of this Partylite MLM review is to highlight some core aspects of the business that will help you to make an easier decision. Let’s dive right into it, shall we? How do you get Started with PartyLite? There are two ways, the first is to purchase a Starter Kit which costs you $99. 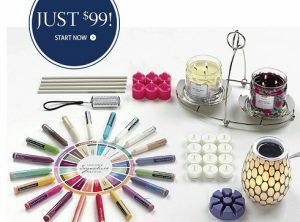 The second way to get started is to hold a partylite candle party. Should you decide to go this route, then you would get the Starter Kit at no ‘out-of-the-pocket’ cost. To qualify for the free starter kit though, you would have to bring in sales of up to $350 at the party. Some hosts have found that reaching the target was not as easy as initially thought. Let us take a look at the products in a little bit of more detail. A Glance at the Partylite Catalogue- Are Partylite products cheap? Candles – this includes the 3-wicks, Glolites, Tealights, Votives, Pillar and LED Candles. 2. HOME DECOR– This includes things like Jar Candle accessories, tealight holders, votive holders, pillar holders and replacement parts. 3. FLAMELESS FRAGRANCES– This includes things like melts, electric warmers, and room sprays. To me, these products seem a bit pricey. Remember that this is a MLM company that we are talking about. One of the common things about MLM companies is that their products generally are more expensive than the norm. How different and unique are the Partylite products compared to conventional candles? While I don’t dispute that some of them have amazing smells, can you really justify the high price based on that? How do you make money withing the Partylite Business? 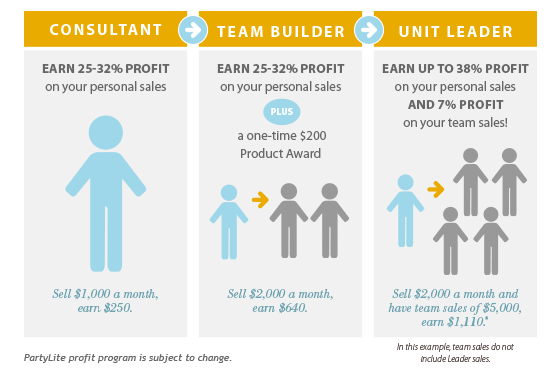 As a consultant, you CAN earn 25% on sales that you make on a monthly basis. If you make sales in excess of $2300 within that month, then your earnings get an extra 7% which means you get profits of up to 32%. Remembering the fact that this is a MLM, the faster way to go grow your business is through…..recruiting . Ultimately getting more people to join you in the business will get you to earn more money, faster and quicker. Let me show you a little bit more of how the compensation plan works. The next step after the consultant is a TEAM BUILDER. You become a TEAM LEADER when you sign on two additional people. Everyone earns 25%-32% on sales. In addition, you earn a one-time $200 product bonus. After the TEAM BUILDER, you become a UNIT LEADER. This is when you’ve got FOUR people within your downline. On this level, you earn 38% profit on your personal sales and 7% profits on sales generated from the people within your group. Within any business infrastructure, the secret of that businesses success is heavily dependent on everyone playing their role in order to help the company to grow. Within the Partylite business, there are numerous stories online, whereby, consultants or hostesses don’t do their duty leaving the distributor all alone to fend for themselves. It’s really not a nice feeling when you are all set and ready for your Partylite Sale and on the very last minute you hear that the Consultant is not going to pitch up! The worse part is that 30+ people are already on their way. What do you do? How do you think it would feel if you had paid an exorbitant amount of money for candles and have not received any of it as yet? As I’ve mentioned there were numerous complaints of this sort. If you just search ‘partylite complaints ‘ into the Google search bar, you would find them too. I am NOT implying that ALL consultants are like this within Partylite. There certainly are some positive stories. Have a look at the next story and see for yourself. Let’s round up this review with the final section. In terms or whether this company is legit or not, I personally believe that Partylite is NOT a scam. However, with that being said, I don’t think that it is as smooth a running of a business as it should be. 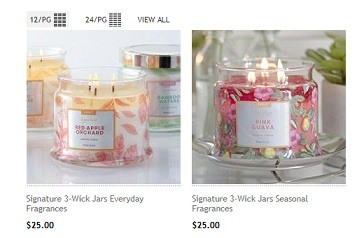 As you have seen there are issues such as the price of the products (which ends up being higher once you add the shipping and taxes), the safety of some of the candles, and certain consultants not showing up to a party. If you had to join, then perhaps your luck may be better than others. You may not experience any of these setbacks mentioned. Your business might run smoothly. At the end of the day, the choice is up to you. There is one more thing that I would like to make mention of and that is ‘marketing your business.’ If you’re going to start a business, then one of the core lifelines, is getting the word out there. Sure, you get your own ‘partylite consultant website’ as a marketing tool. But all consultants get the same templates. How do you make your business stand out? What about after you have marketed to your family and friends? Surely you need to expand and learn how to reach out and take your business to a higher level. Are there enough tools and skills taught within partylite to help you build your MLM business? If you love the idea of having these parties and think that you would do a great job of recruiting people, then go for Partylite. Affiliate Marketing is an amazing online business model that ANYONE can Learn. This is how it works- you earn commissions from the sales of other people’s products or services. All you need is a website of your own. The best part is that your business can be built around a niche that you are passionate about. So if you have a hobby or an interest that you would love to share with people, then you can have a really lucrative online affiliate marketing business. There are 3 Billion people online, so you certainly will not run out of customers. If you’re interested in learning more, then check out my review of a training platform called Wealthy Affiliate. 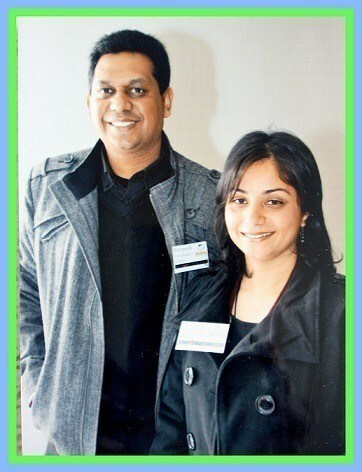 They have been around for 13 years and have over 800 000 active members, all building their online business. It’s the perfect platform for someone who DOES NOT know anything about website building. Maybe this appeals to you over the MLM business. You can try out Wealthy Affiliate for FREE and start the lessons right away, without any payment whatsoever AND you get TWO FREE WEBSITES upon signup. I hope that this Partylite MLM review has helped you out. Would you give them a go or try something different? Would love to hear your thoughts. Wish you tons of success in your business adventures. I must say it is unusual to find an honest review. Most times you will see affiliate marketers or site reviewers pick a product to market and just give it rave reviews trying to sell a product. I enjoyed your in depth look at many aspect of the Partylite MLM and giving honest answers. Thank you for the time and research. I would also like to add that you are correct about WA and I am glad I am member there. One question, however, how do you go about picking your products for review and do you sign up with them, interview members, or just search out actual reviews online? I have thought about doing reviews myself. Wow! Thanks for the compliment. I really appreciate it. How are things going with you at Wealthy Affiliate? To answer your question, I sometimes get requests from readers that would like me to do a review of a certain product and this is how I go about picking products for review. I think that is the easy part. The hard part is actually researching more about the product. The best way to learn more is to sign up with the product or service. That will make things easier to write about. Hope this helps and all the best in your online journey. You have given a great review of PartyLite and to be honest this is the first time I have heard of this business. The thing is there are better and easier ways to make money and the idea of holding house parties, having to buy and hold all that stock and then go ahead and invite 30 – 50 people to a presentation, does’nt appeal to me at all. I am lucky to have found WA, which is probably the best and easiest way to start a home based business. Nice to see that you enjoying your time at Wealthy Affiliate. Great review of the PartyLite MLM, this gives a great overview of this program. I like the idea of affiliate marketing, where you can earn a commission on a straight sale, and when you compare PartyLite next to Wealthy Affiliate, there really is a marked difference. I think Wealthy Affiliate is a much better option for most people! Thanks a million for your input. Glad to have your opinion. goDesana MLM Review:Can You Make Money By Selling Essential Oils? Is CTFO A Scam? Another CBD MLM Company? Is It Worth Your Time? Origami Owl Review: Is Origami Owl A Scam or Is This Jewelry Biz Legit?